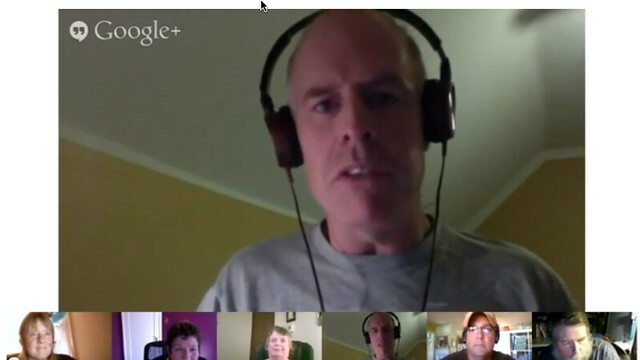 Terry Elliott and I are the two main facilitators for this first week of the Making Learning Connected MOOC, and last night, we hosted the first in a series of Google Hangouts. We invited a few guests and then spent a thoughtful hour last night talking about the art of “making,” the rationale of the MOOC, and how folks can be active participants in learning this summer. We invited a few folks (Michael, Gail and Christina) from the weekend’s first Make Cycle to share their own thoughts, too. All in all, it was fantastic. You can see the video archive and some notes from the chat room over at the Making Learning Connected blog. We were certainly busy this weekend, enjoying the ways that MOOC participants have been representing themselves to each other as part of the first Make Cycle. We’ve had photographs, videos, animation, online biographies, avatars, and much more, and the range of work by people is just stunning. Our hope is that the energy of this first week continues into the other weeks of the MOOC, and that even more folks join in. It’s not too late. Come join in the fun.